Bell Labs, the research arm of Alcatel-Lucent, has set a new broadband speed record of 10 gigabits-per-second (Gbps) using traditional copper telephone lines and a prototype technology that demonstrates how existing copper access networks can be used to deliver 1Gbps symmetrical ultra-broadband access services. 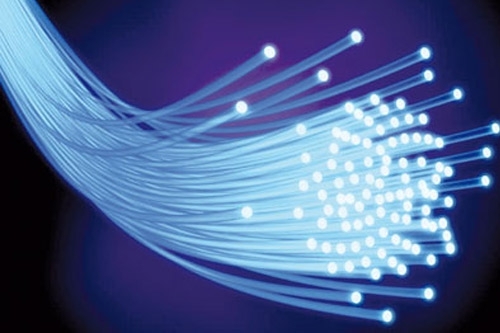 Achieving 1 Gbps ‘symmetrical’ services — where bandwidth can be split to provide simultaneous upload and download speeds of 1 Gbps — is a major breakthrough for copper broadband. It will enable operators to provide Internet connection speeds that are indistinguishable from fiber-to-the-home services, a major business benefit in locations where it is not physically, economically or aesthetically viable to lay new fiber cables all the way into residences. Instead, fiber can be brought to the curbside, wall or basement of a building and the existing copper network used for the final few meters. The Bell Labs tests used a prototype technology called XG-FAST. This is an extension of G.fast technology, a new broadband standard currently being finalized by the ITU. When it becomes commercially available in 2015, G.fast will use a frequency range for data transmission of 106 MHz, giving broadband speeds up to 500 Mbps over a distance of 100 meters. In contrast, XG-FAST uses an increased frequency range up to 500 MHz to achieve higher speeds but over shorter distances. Bell Labs achieved 1 Gbps symmetrical over 70 meters on a single copper pair. 10 Gbps was achieved over a distance of 30 meters by using two pairs of lines (a technique known as «bonding»). Both tests used standard copper cable provided by a European operator.